The Christopher & Dana Reeve Foundation, a national nonprofit dedicated to improving quality of life for individuals living with paralysis, is awarding seven Quality of Life Nursing Home Transition (NHT) grants totaling $280,000 to seven Centers for Independent Living (CILs) nationwide. Quality of Life grants of $40,000 support fellow nonprofits that mirror the Reeve Foundation’s mission and commitment to foster community engagement, enhance independence, and promote healthy self-esteem. The Quality of Life Grant program to date has awarded more than $22 million in grants to more than 2,900 programs since its inception in 1999. Funding for the grants is made available through the Paralysis Resource Center (PRC) operated by the Reeve Foundation under a cooperative agreement with the Administration for Community Living at the U.S. Department of Health and Human Services. The PRC’s Nursing Home Transition Grant Program funds Centers for Independent Living across the country to transition people with paralysis living in nursing homes back into their homes or a community-based setting of their choice. Under the Workforce Innovation and Opportunity Act (WIOA) passed in 2014, CILs are charged with supporting individuals to transition into community-based settings as a new core service, but CILs often lack the resources to do so robustly. The PRC’s NHT grants serve to supplement the work CILs are already doing to fulfill their responsibilities under WIOA and to help achieve the Reeve Foundation and ACL’s shared mission of full community participation for people with disabilities. For this grant, paralysis is functionally defined as a difficulty and/or inability to move one’s arms and/or legs due to a neurological condition such as spinal cord injury, traumatic brain injury, spina bifida, cerebral palsy, multiple sclerosis, ALS, and many other chronic conditions that coexist with developmental, congenital, and acquired disabilities. These applicants were chosen based on their innovative project designs and scaling up capacity. These funds will allow flexibility in purchasing a variety of nursing home transition needs that are not currently covered by other funding sources such as rental and utility deposits; first month’s rent; moving costs; and startup cost and services. The majority of the funds will be used to purchase home furnishings, assistive technology, personal care attendant services, and internet access. These CILs will also now be able to hire more staff or increase staff hours to help address rural isolation, assist very low income individuals, and provide post transition services. The Christopher & Dana Reeve Foundation is dedicated to curing spinal cord injury by funding innovative research and improving the quality of life for people living with paralysis through grants, information and advocacy. They meet all 20 of the Better Business Bureau’s standards for charity accountability and hold the BBB’s Charity Seal. The Paralysis Resource Center (PRC) is a program of the Reeve Foundation, and is funded through a cooperative agreement with the Administration for Community Living (cooperative agreement number 90PR3002). 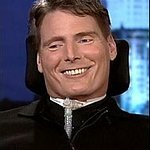 For more information, please visit their website at www.ChristopherReeve.org or call 800-539-7309.